Most people who saw and read about the Ram Jethmalani-Leena Chandavarkar controversial ‘liplock’ at the Humlog Awards this week, were either amused or smiling. 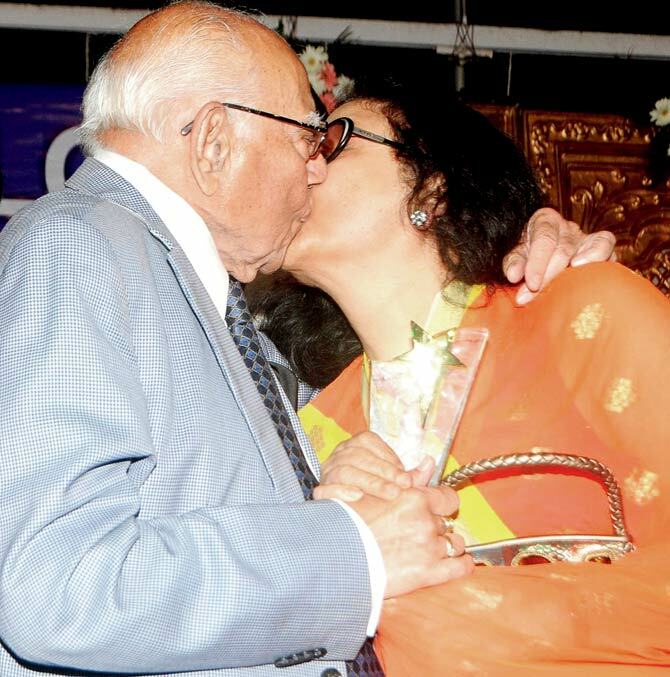 The veteran lawyer and politician indulged in a rather long display of affection on the dais; pecking on the cheeks of the yesteryear actress and late Kishore Kumar’s wife. But Arjumman Mughal who picked up an award at the event that evening for her performance in the highly-sensitive movie Ya Rab, isn’t so pleased! Why? “Because all that public display of ‘cheek cheekiness’ diverted the attention from the actual awards,” she smirks. And just as we wonder whether the actress is serious or joking, she almost justifies the kiss. “It was cute and just a way of greeting each other. Maybe, he wanted to kiss her cheek, and missed,” winks Arjumman. The actress feels that Twitterati is jumping all over the so-called ‘liplock’ giving it more attention than it deserves. But she also defends it saying, “Where is it written that male testosterone is the prerogative of hot and happening Bollywood stars.” True that! Just for the record, Arjumman’s film Ya Rab depicted how the religion of Islam has been used by some unscrupulous elements, as a tool to propagate violence and terrorism by misinterpreting The Quran and its real meaning. Ya Rab with its tagline ‘Jihad against terrorism’, was endorsed and released by Mahesh Bhatt, and hailed as a genuine effort to showcase the correct face of Islam and help bring misguided youth back to the right path.